The Developing Skills Checklist measures motor skills. The DSC, or Developing Skills Checklist, was developed by CTB/McGraw Hill and is commonly used in U.S. schools to determine specific instructional requirements for children entering kindergarten soon. By testing some basic skill areas and physical capabilities, the checklist aims to define what strategies your child will need his teachers to implement in order to achieve success in school. Your child will develop mathematics and language skills throughout her education. The Developing Skills Checklist will use various types of mathematical problems to determine your child's ability to answer simple math questions. It will also assess your child's reading abilities, letter recognition skills and how well she can write. 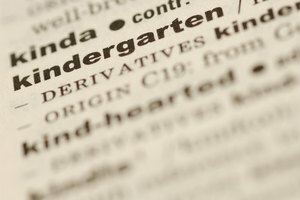 Don't worry if your child doesn't have a very broad understanding of mathematical and language concepts. 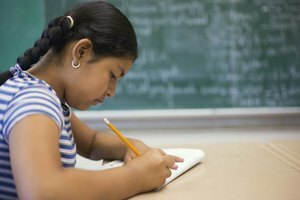 The test aims to determine what learning principles will help your child succeed. Basic motor skills will also be tested on the Developing Skills Checklist. A motor skill is how well your child can perform a basic physical task, such as building a tower out of blocks, cleaning up toys or brushing her teeth. Motor skills are often easy to perform for students who are developing regularly, but can be more difficult for children who are developmentally challenged or just developing at a slower rate. Social skills will be extremely important throughout your child's education because they will help him relate to other students and his teachers. 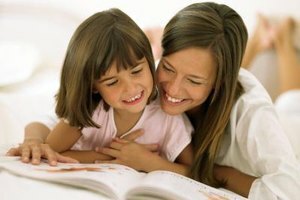 Many parents choose to send their children to daycare, a babysitter who watches many children or a preschool program to help them learn about playing with and relating to other children. The Developing Skills Checklist will also test how your child reacts emotionally to different situations he may encounter in school. Your child's school system will likely check her visual and auditory health every year, so this area of the Developing Skills Checklist is pretty standard. The test will determine whether your child has normal hearing and vision. If she does not have normal hearing and vision, the test will help your child's future teachers assist her with her learning. The test will also examine how well your child's memory is compared to that of her peers. Taylor, Kate. "What Will My Child Be Tested for on the DSC Checklist?" Synonym, https://classroom.synonym.com/child-tested-dsc-checklist-8513534.html. Accessed 19 April 2019.